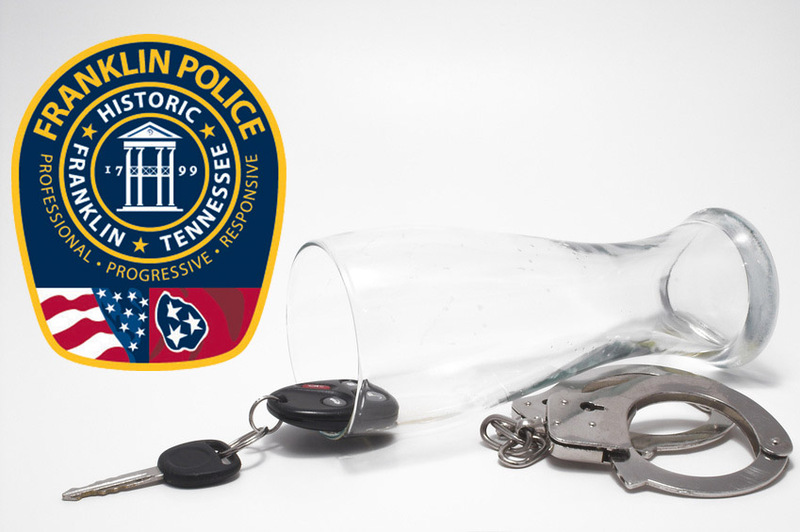 Franklin, TN – Franklin’s growing community just got a little safer, except for drunk drivers. The Governor’s Highway Safety Office recently awarded Franklin Police $50,000 to use for anti-DUI initiatives including DUI checkpoints, saturation patrols, training, and equipment. Franklin, TN – A Columbia woman charged with DUI is free on bond following a Sunday morning crash that injured her, and three other people. On 09/14/2014 at 5:30am, an officer who was dispatched to the scene found the car, driven by 26-year-old Brittney Carroll, in a median on Carothers Parkway near Bakers Bridge Avenue, where it had crashed into a tree. The officer determined Carroll to be under the influence, and arrested her. Carroll, charged with DUI and Violation of the Implied Consent Law, is free on a $1,500 bond. She is due in court on 10/02/2014 at 1:00pm. Thankfully, no one in the car was seriously injured. Impaired driving related crashes constitute one of the nation’s leading health problems. Impairment is a factor in 33% of all crashes in the United States and these events result in more deaths a year than homicides. 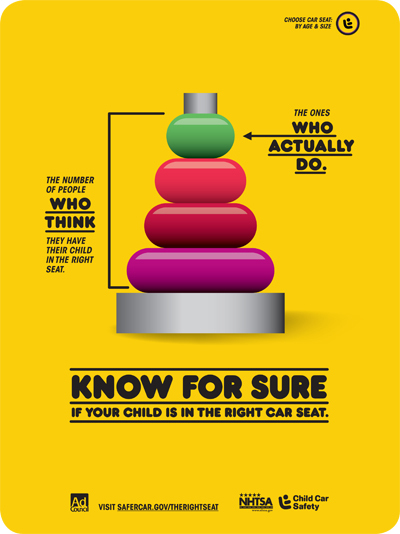 Franklin, TN – Is your child in the right car seat? In honor of Child Passenger Safety Week, Franklin Fire and Police have planned two free car seat check-up events to help you find out. The first event will take place Friday, September 19 at Franklin Fire Station 4, 2039 Fieldstone Parkway, from 2 – 4 p.m. The second event will take place Saturday, September 20 at Franklin Fire Station 2, 907 Murfreesboro Road, from 9 – 11 a.m. Certified Child Passenger Safety Technicians from Franklin Fire and Police will be on hand at both events. According to the National Highway Traffic Safety Administration, car crashes are a leading cause of death for children one to 13 years old. Many times deaths and injuries can be prevented by proper use of car seats, boosters, and seat belts. If you can’t make it to one of the events call (615) 791-3270 to schedule an appointment. 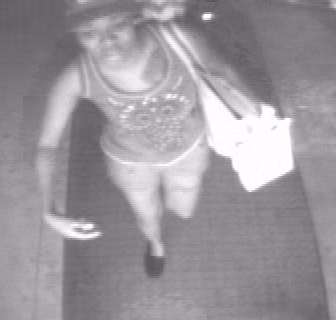 Franklin, TN – Detectives in Franklin want to identity two women who stole the wallet from a purse, left in a fitting room, while the victim went to get a different size. 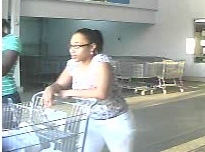 The theft occurred August 28 at Forever 21, inside the CoolSprings Galleria, though it was not immediately reported. Following the theft, the victim’s credit cards were fraudulently used at several Nashville-area locations, including the Opry Mills Mall. Information leading to the identification and arrest of these suspects is worth up to $1,000 with an anonymous call to Crime Stoppers: (615) 794-4000. 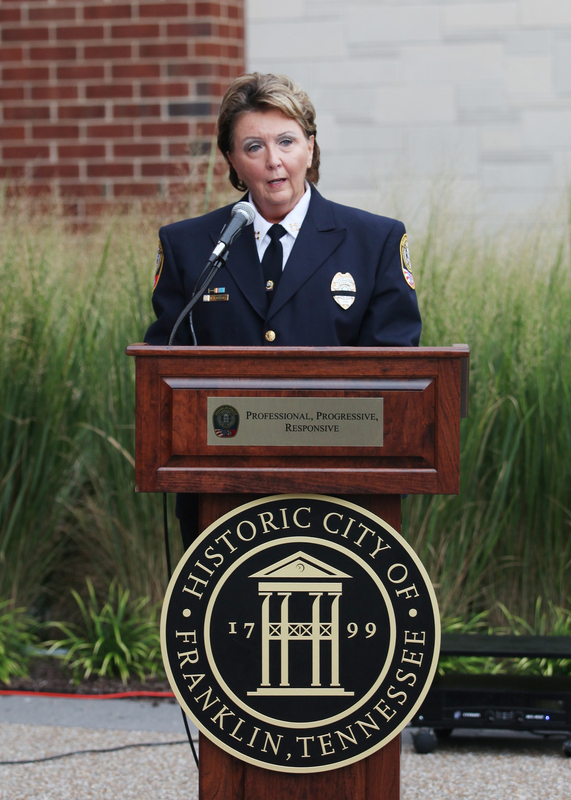 FRANKLIN –On Friday, September 12, Franklin City Administrator Eric Stuckey named Interim Chief of Police Deborah Faulkner, Chief of Police. Faulkner was hired in June 2014 as Deputy Chief. Later, in July, she was named Interim Police Chief. Faulkner was the top pick from more than 70 applicants for Deputy Chief. Chief Faulkner brings great experience and vast education to the Franklin Police Chief’s office. She has a bachelor’s degree in Journalism from the University of Memphis, a master’s in Criminal Justice from Middle Tennessee State University, and, a doctorate in Human Development Counseling from Vanderbilt University. She most recently served as Tennessee’s first Inspector General for more than 10 years. In this role she identified, investigated and prosecuted persons who committed fraud against TennCare. Faulkner is a retired Metropolitan Nashville police officer. Throughout her 31 years of service with Metro, she moved up through the ranks, and retired as Deputy Chief of Police. She is a graduate of the prestigious FBI National Academy and is past president of the Tennessee Chapter of the FBI National Academy Associates. Chief Faulkner has long been involved in the community. She is the past president of Fifty Forward board, YWCA and the Susan G. Komen Nashville Affiliate. She has also served on the boards of the Girl Scouts, Goodwill, Catholic Charities, CABLE, and Building Lives of Vets. Deb is a recipient of the Athena Award, and she was also inducted into the Academy for Women of Achievement. She received the Girl Scout’s Volunteer Award, CABLE’s Spirit of Leadership Award, the Molly Todd Cup, and the Fifty Forward Harriet Foley Leadership Award. 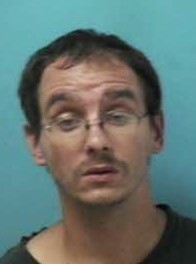 Franklin, TN – Jeremy Rogers, 31, of Franklin, remains jailed following his second DUI arrest early Thursday morning. At 3:45am, officers responded to the 7100 block of Crossroads Boulevard to investigate a driver, reportedly passed out behind the wheel. When officers arrived, they found Rogers asleep in his vehicle, with the lights on and vehicle running. In addition to open alcohol, officers also discovered a small dog inside Rogers’ car. Officers determined that Rogers was impaired, and arrested him for DUI – 2nd Offense. Rogers was also wanted on three probation violation warrants. He is currently being held, without bond, in the Williamson County Jail. Rogers is due in court 09/25/2014 at 1:00 pm. His dog was turned over to Animal Control.